Next weekend I’ll be attending the annual Writer’s Institute conference in Madison. I’m looking forward to going, to meeting new people and learning more about the craft and trade of being a writer. It will also serve as the occasion to launch the first edition of the new annual literary journal, “The Midwest Prairie Review,” which is going to include a short story I submitted, “A Leg Up.” I am looking forward to seeing the finished publication, and, of course, seeing my work in print. The most highly anticipated part of the conference promises to be the live pitch sessions with literary agents. 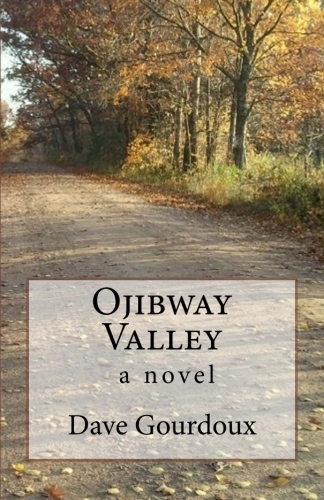 I have signed up for sessions with two agents to try and get representation for my first novel, Ojibway Valley. The sessions are eight minute one on ones where the author pitches his or her work. It’s a rare opportunity to have face to face contact with the people whose job it is to wade through thousands of anonymous query letters. I’m very proud of Ojibway Valley, but I’m also realistic. I know the odds are stacked against me. While I think it’s a good book, when I look at it now, I tend to only see the things that I could have done better, and I assume that’s what the agents will see. Still, I’m preparing what I’ll say, and trying to summarize the book into short and concise statements that reflect what it’s about and why it’d sell enough copies for a big publishing house to take it in. I’m nervous about these scheduled sessions. I really want to go the traditional route, have an agent who hooks me up with an editor and finds a publishing house and gets the book out. I have no illusions about it ever being a best seller or making millions of dollars off of it. I’d be thrilled if it was just published and looked professional and if a handful or readers got a hold of it and found something worthwhile inside. I suppose the self publish or e-publishing paths are options worth pursuing, and something I may look into eventually, but first I’d like to give the traditional route a try. I’m nervous for a number of reasons, chief among them being that I hope to have my work validated and see my dream of having a published novel come true. Adding to the pressure and the stress is my instance of Parkinson’s Disease, which, among other things, impacts my speech and my handwriting. With only eight minutes to make my case, it’s going to be imperative that I communicate efficiently, that I am clear and concise, and I want to make a good impression. Typically, the more stress I am under, the worse my speech is, and I stutter and stammer and slur my words. So I have to decide, do I tell the agent up front about my condition, and waste valuable time discussing my condition, or do I just start my pitch, and risk sounding like a babbling moron? Hopefully, stress won’t initiate the tremors it sometimes does, and I won’t be shaking or jerking about too much. It’s awkward enough going to these conferences anyway, because one of the things Parkinson’s has taken from me is my handwriting. I never had good handwriting, but now it is completely illegible. If I don’t have my laptop with me (my phone has texting capabilities, but with my unsteady fingers, I do not) I can’t jot down a phone number or add an item to a grocery list. This means while at a conference, I have to lug my laptop with me to take notes or engage in writing exercises. It can become clumsy at times, and another thing I have to think about when I am in my pitch sessions – do I bring my laptop with me? It seems rather impersonal in a one on one meeting to open up a computer and start typing. Parkinson’s is the elephant on the table. It’s the reason I’m home all day, the reason I left my job as a manager in I.T. two years ago. It’s the reason I’m writing now – it’s how I fill my time, and as long as my fingers can work a keyboard and a mouse, it’s how I’ll spend my remaining time. Writing’s been my attempt to make the best of a bad situation, to fill my time with purpose and meaning. The thing is, I don’t know how much time I still have left. I’ve read stories of other authors taking as long as twelve years to get their prize winning novels published – I don’t know if I can wait that long. So it adds an element of desperation to my work. I don’t have a bucket list. I just don’t see the point. I’m happy as long as I have my family and my writing. When I started writing Ojibway Valley, I was just beginning to transition from memoir writing to fiction writing. Now, I’m addicted to writing fiction. I’m about 40% through my second novel, and everyday I’m learning more about how to create fictional characters and situations, the different ways to tell a story. I dream of having my work, particularly my novels, published some day. I’ll do whatever I can to make that happen. In the meantime, while I wait for someone to publish my first novel, I’ll finish my second novel. When that’s done, I’ll start my third, and I’ll continue until, to paraphrase the National Rifle Association, they have to pry my keyboard from my stiff and rigid fingers.